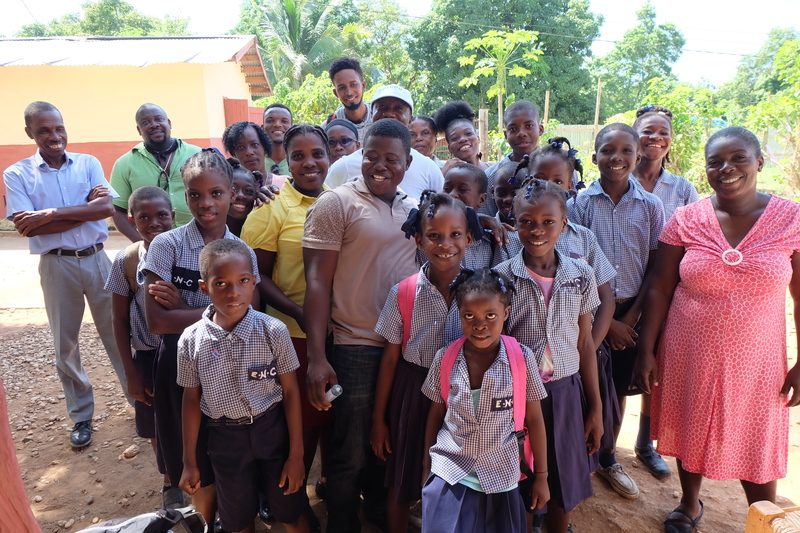 On October 23rd, 2018 the FOTCOH Education Clinic Team visited the Cyvadier National School in Cyvadier, Haiti where we distributed 26 Sawyer Water filters to families. Both students, teachers, and administrators participated in the training. 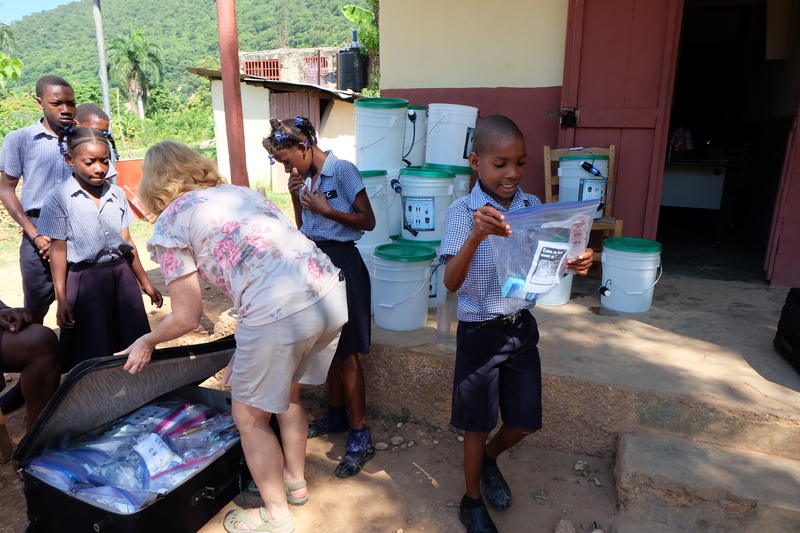 In total, 38 adults and 58 children now have access to clean water thanks to our partnership with Wine to Water in providing the Sawyer Water Filters. We also provide 3 filters for the school, where over 224 children attend. 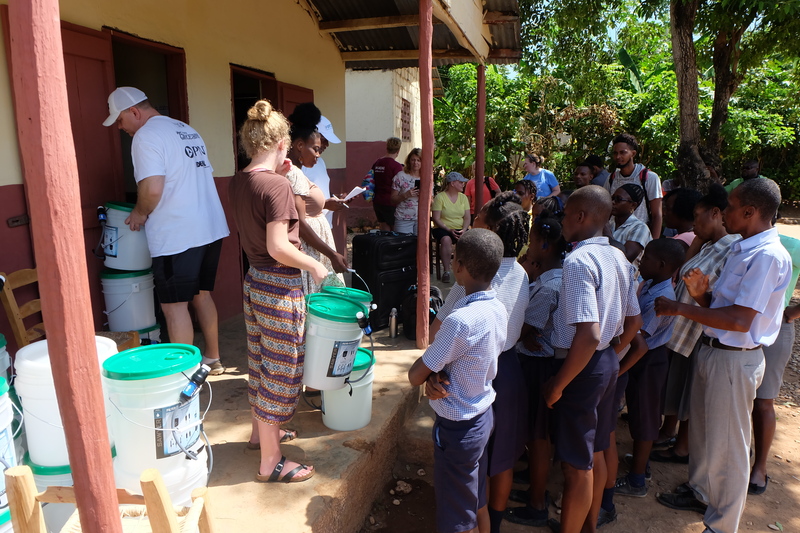 During our community assessment at the primary school, the teachers informed our Community WaSH Promoters that those families that can afford to buy water do, but most can not afford to do so. 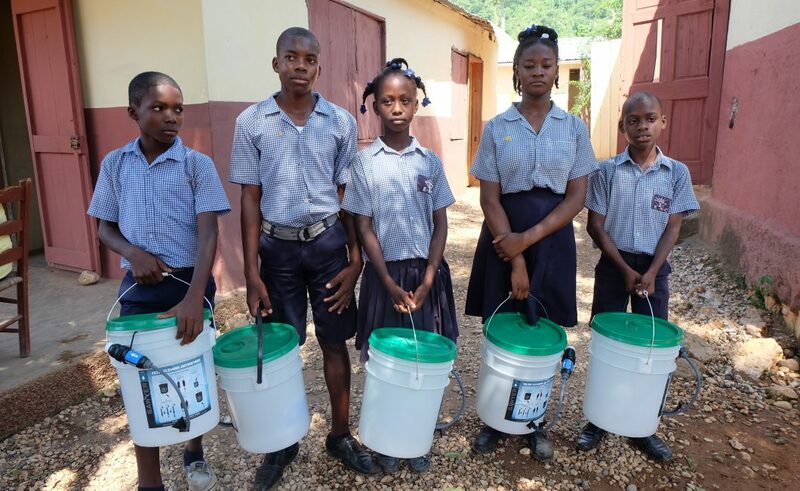 The school had a handwashing station that used water from a water tank that had been installed by the government, but the water filtration system attached to the water tank was broken and had not been repaired.